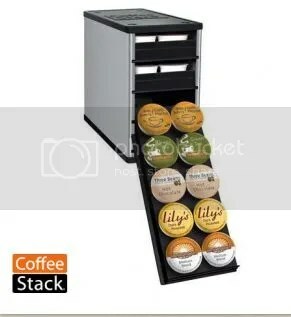 Coupon Hauls had the pleasure of doing a review of this Coffee Stack by YouCopia. We are so excited to be able to give one away also to one of our lucky followers! Check out this amazing product with our review. This giveaway is open to USA residents only and you must be 18 years or older. I LOVE WILD MOUNTAIN BLUEBERRY. Caramel Vanilla Cream Coffee. Can you smell it? I like any of the donut shop flavors. My favorite flavors are jet fuel and black tiger by the coffee people.